Allen Charles was born in Desertmartin about 1921. The family lived in Desertmartin in what is now a shop in front of the Orange Hall. As a young man Allen went to live in Weston-Super-Mare, Somerset, England. He married Mavis Charles. 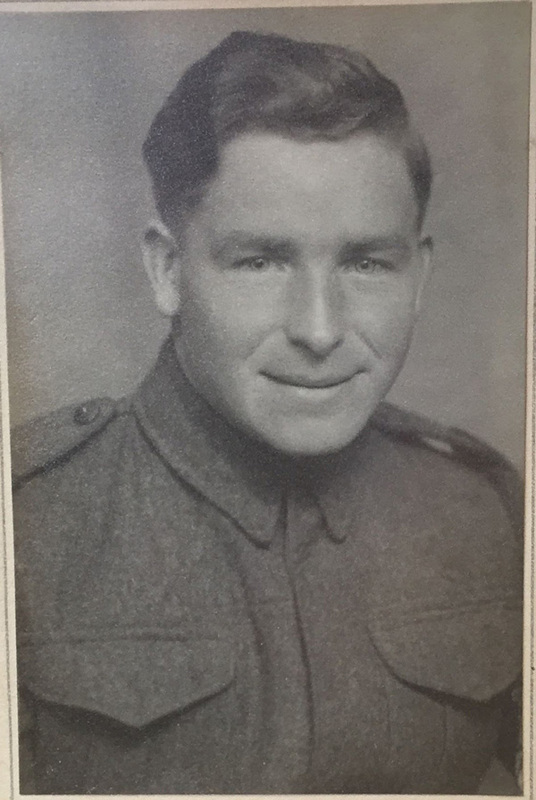 Lance Sergeant Allen Charles was serving with the 1st (Airborne) Battalion of the Royal Ulster Rifles when he was killed by friendly fire on 8th June 1944 during the Normandy landings. Allen Charles was born in Desertmartin about 1921. The family lived in Desertmartin in what is now a shop in front of the Orange Hall. Known family: Robert Charles, Mother unknown, Robert Charles, Allen Charles (born about 1921), Andrew Charles (half-brother). As a young man Allen went to live in Weston-Super-Mare, Somerset, England. Allen Charles married Mavis Charles. 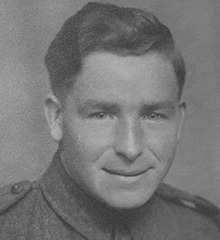 Lance Sergeant Allen Charles was serving with the 1st (Airborne) Battalion of the Royal Ulster Rifles when he was killed by friendly fire on 8th June 1944 during the Normandy landings. Lance Sergeant Allen Charles is buried in Ranville Cemetery, north of Caen in northern France. 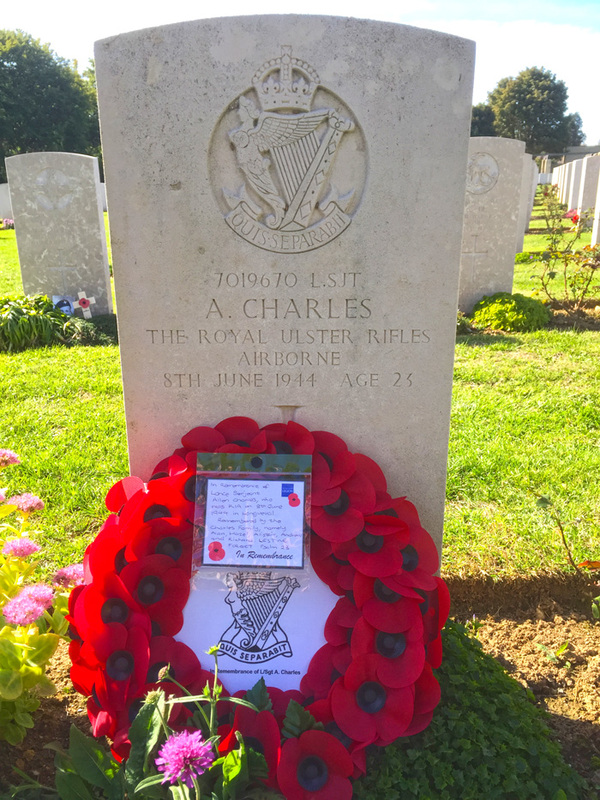 His half-brother, Andrew Charles, also served with the Royal Ulster Rifles during the D-Day. He survived the war. The CWGC record Lance Sergeant Allen Charles as the son of Mr and Mrs Robert Charles, He is also recorded as the husband of Mavis Charles of Weston-Super-Mare, Somerset, England. Many thanks to Dr Andrew Charles BA (Hons) M.M., MRes, for all the information and photos here. He is the great-nephew of Allen. Thanks to WW2-NI for the circumstances of death. 1 Pegasus Archive Killed on 8 June 1944 in Normandy by 'friendly fire'.